It was heavy rain as conference participants flew into St. Petersburg to participate in the Arctic Forum, Russia’s high level conference on Arctic developments. 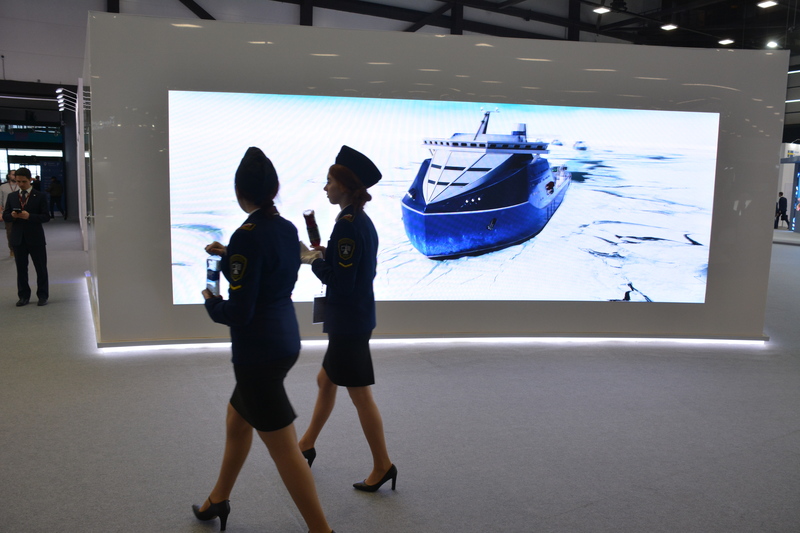 The Arctic is a “territory of dialogue”, the conference organisers brand their event. This year, however, the forum took place outside the Arctic. It was originally to be held in Arkhangelsk. But the north Russian city is incapable of organising such a big event, Moscow decided, and last minute moved it to St. Petersburg. Dialogue was indeed a keyword also for the Nordic leaders that had decided to make the rare appearance on Russian soil. Increasingly tense relations with the nearby eastern neighbour have become a major concern in the whole Nordic region, from the Barents Sea coast in the north to the Baltic in the south. And the need for lower tensions appears evident. Even the remotest Arctic lands are no longer spared for looming geopolitical intrigues. Military buildup, expanding industries and climate change is putting the region under strain. But words about dialogue are not sufficient, Finnish President Sauli Niinistö underlined as he took the floor in the forum’s plenary session. It was a soft kick against his Nordic colleagues that froze relations with Russia after the annexation of the Crimea in 2014. While Finnish leaders have continued to nurse relations with Russia despite deep divides on key issues, the Swedes and Norwegians have chosen to stay clear. Reportedly, the bilateral talks between Sweden’s Stefan Löfven and Vladimir Putin that were held as part of the conference were the first high-level meeting of its kind since 1997. This time, the atmosphere was better, Solberg made clear after bilateral talks with Putin. «This is a start of a process that includes new issues,» the prime minister told journalists. «I would not call it a breakthrough, but rather a clear confirmation of the fact that there are still areas where we can cooperate,» she explained. She underlined that «relations will remain difficult», and that there will still be sanctions. At the same time there is major room for cooperation, especially in bilateral relations on nuclear waste management, fisheries, search and rescue and people-to-people, she argued. «Some people think there is a race for resources in the Arctic. I do not agree,» she underlined, and referred to the comprehensive multinational Arctic fisheries agreement signed last year. 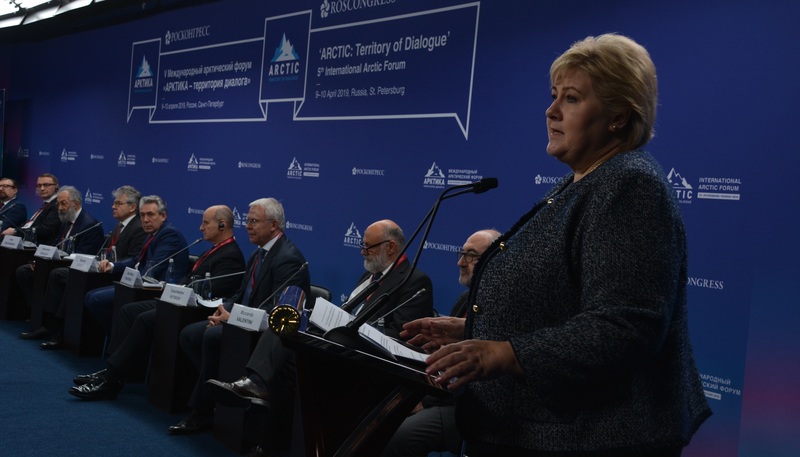 The Nordic-Russian meetings in the Arctic Forum revealed vast divides in the perception of the Arctic. While the Russians are engaged in an unprecedented development of the region based on extraction of hydrocarbons and coal, as well as large-scale buildup of new infrastructure and military capabilities, the Nordic neighbours push for a higher focus on climate issues. Putin himself made clear that he believes the problem of black carbon in the Arctic is exaggerated and that the world will not turn to alternative energy sources any time soon. Russia is an oil and gas nation and intend to stay so. 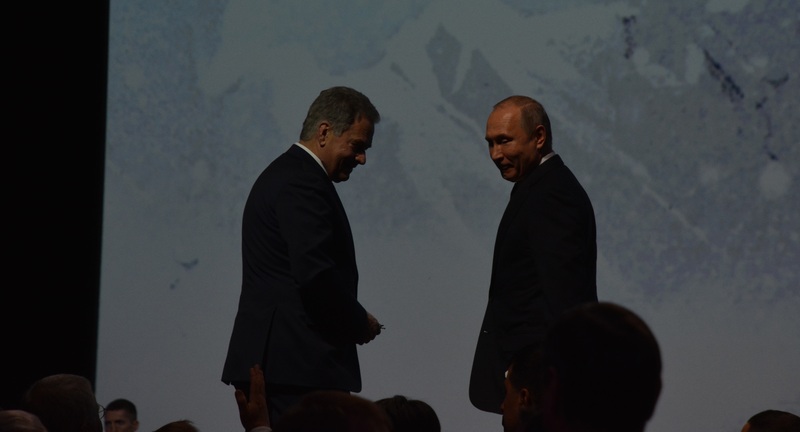 «The resources are truly titanic, they are of global proportions,» Putin underlined to the conference audience and pointed at Leonid Mikhelson, leader of natural gas company Novatek, who sat on the front row. At the same time, as if signalling his willingness to work with the world community, Putin confirmed that Russia is in the process of ratifying the Paris Agreement. «We will do it after an in-depth analysis of consequences of the actions, but we are moving in this direction,» he said.